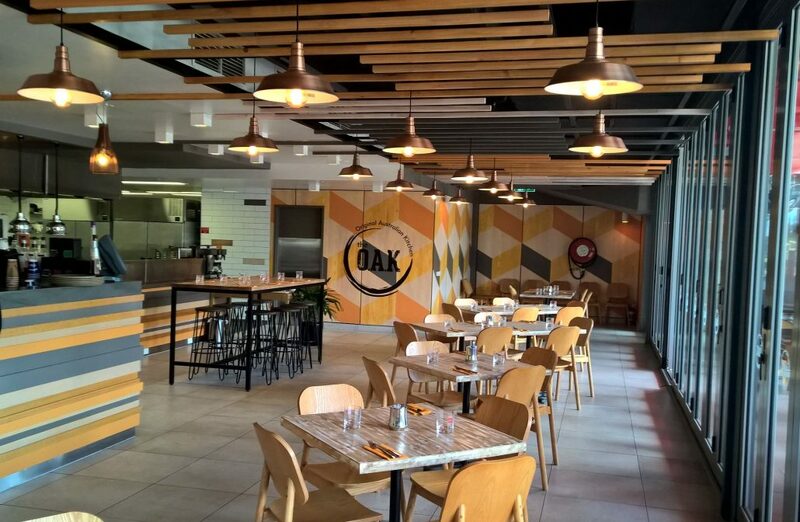 The OAK restaurant refurbishment was completed as a re-brand of the restaurant belonging to The Oaks Soho Hotels and apartments in the Darwin CBD. Designed around the idea of the ‘Original Australian Kitchen’ the design provides a relaxed, friendly, colourful eating experience for local diners that takes inspiration from the colours and textures of the Australian bush. The design provides three individual seating environments to cater for the differing needs of patrons whether it is a relaxing drink outside, a drink with friends or a full dine in experience.